How Did This Alabama Tugboat Crewmember Lose His Life? Home » How Did This Tugboat Crewmember Lose His Life? How Did This Tugboat Crewmember Lose His Life? Last month, the friends and loved ones of a 33-year-old tugboat deckhand mourned for his passing after a tragic tugboat accident. They smiled sadly and spoke of how he could light up the room, but they all still wanted answers as to the circumstances of his death. On April 19th, a tugboat on the San Jacinto River in Houston, Texas capsized and the five crewmembers were stranded in the water. The Coast Guard’s rescue boats and helicopters responded to the scene and recovered four of the crewmembers. The other deckhand’s body was discovered a few hours later, down the river. According to the Coast Guard’s report, the San Jacinto River was at a higher flood level than normal at the time the tugboat capsized. However, the incident is still under investigation. 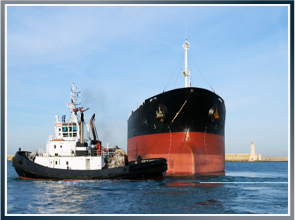 Tugboats are considered pretty sturdy vessels, but they are nonetheless still susceptible to capsizing. Typically, tugboats can capsize when a towline is under extreme tension and the righting lever is overcome, causing the boat to girt. Other times, a river current can slam tugboats into barges or simply overcome the vessels and cause them to keel over. It’s also possible for tugboats to succumb to bad weather conditions, similarly to any other vessel. When a tugboat (or any boat, for that matter) capsizes, it is most important to remain calm and try to conserve your energy. It is important that all crewmembers (or passengers) are wearing flotation devices. Once the boat has capsized and is lost, the next step would be to do a headcount of all the crewmembers and then, signal for help. Though, when signaling for help, you must walk a thin line between being effective in signaling and not tiring yourself out. Having flares or whistles helps, but is not always readily available. If you are with other crewmembers, try and take turns signaling for help. Crewmembers should always set up an emergency tow quick-release emergency equipment to prepare for a boat capsizing. Additionally, crewmembers must be trained in what to do in emergency situations, such as this and the tugboat must be properly maintained and seaworthy to help minimize the chance of it capsizing. Latti & Anderson LLP is a maritime injury law firm that fights for victims who have been injured or lost their lives at sea. Previous How Did This 3-Year-Old Die in a Boating Accident? Next Why Was This Boater Sentenced to Seven Years in Prison?